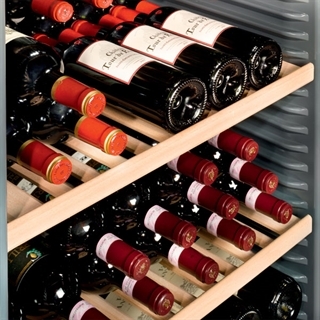 Organise your Bordeaux bottles safely and securely with an additional wooden pull-out shelf for your Liebherr wine cabinet. The wooden shelves are handcrafted from natural untreated wooden and offer safe storage for your wine bottle collection. You can arrange the bottles in opposite directions, giving you full use of the shelf’s storage capacity. Suitable for Vinothek models WKb4212, WKr4211, WKr3211, WTb4212 & WTr4211. Not your Liebherr model? Browse our Liebherr accessories for shelving options for other models.